Spartan Products was operated at Glen Eden from 1944 to 1946. "design porcelain" shaving mug? Is work by Barry Sluiters. Help please.Is this Stage Artware? 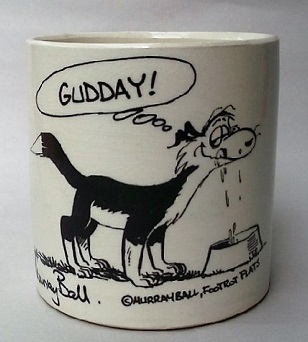 Has anyone heard of Mancunian Pottery, Mount Maunganui? Crum, a selection of pieces..
Is this eggcup Beach, Clay Craft or Peter Lowry?